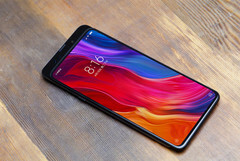 Although not all the features have been revealed yet, Xiaomi has just confirmed that the Mi Mix 3 will be the first handset from a major brand to hit the market with 10 GB of memory and 5G connectivity. Based on the specs of its predecessor, it would be safe to assume that the Mi Mix 3 will use the Qualcomm Snapdragon 845 processor. Xiaomi has recently confirmed the launch date for the Mi Mix 3 to be October 25, but some details are still shady. However, the Chinese brand has just revealed two essential ingredients: 10 GB of memory and 5G support. The Xiaomi Mi Mix 3 was revealed back in August by the company's co-founder and president Lin Bin and the new images that show this upcoming device definitely look good — at least for those who like the pop-up camera design already used by OPPO for the Find X handset. Anyway, this approach is for sure much better than the bottom placement of the front camera used on both the Mi Mix and Mi Mix 2. The OPPO Find X with 10 GB might have recently surfaced online, but it will probably hit the market after the Mi Mix 3. Obviously, having this amount of memory in a smartphone is simply pointless right now, and by the time it will be needed there will be probably faster memory available for mobile devices. In the end, having 10 GB of memory and 5G support could become the norm in late 2019 or in 2020, but these two attributes might simply inflate the price of the Mi Mix 3 without bringing any real benefits to most of its users. These being said, we should get ready for the October 25 event. What would you like to get from the Xiaomi Mi Mix 3, leaving the processor — almost certainly the Qualcomm Snapdragon 845 — aside? Would you pay around US$900 for it?